The ISA UAE Automation Conference and Exhibition 2016 is a full-scale conference and exhibition in the Gulf Region dedicated for process automation and will be held to emphasize on the local content and to reflect the true position of UAE as a major market of automation products and technologies. The event will provide an opportunity for the Automation Industry professionals and End Users to network and share best-case practices. It will also provide them with the knowledge about the latest technologies and applications on measurement, control and safety. The event will take place in Abu Dhabi on the 30th and 31st of May 2016 at St. Regis Hotel. 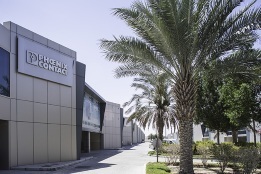 Phoenix Contact will be present at the show. Visit our Stand 26 – 27 to be able to see our comprehensive portfolio for the process industry and automation. Click here to register for the exhibition. The oil and gas industry is changing: both producers and operators need to increase the efficiency of their systems. Due to the recent drop in oil prices around the world, demand for efficient, safer and cost effective operations by End Users of the Energy sector has increased and most of all increased the growing need for communication between the Automation Industry and the End Users. On 25th April, 2016, President Barack Obama visited the Phoenix Contact booth together with German Chancellor Angela Merkel at the opening of the Hannover Messe. CEO Frank Stührenberg as well as the President of the U.S. subsidiary, Jack Nehlig, greeted the heads of state. Stührenberg served as the spokesperson for a number of new developments in a variety of product ranges. He showed the prominent guests charging connectors for electric mobility. The CCSplus fast charging system can charge at up to 350,000 watts – within three to five minutes. Therefofre, it can provide an electric car battery with enough power to drive 100 km.